You are always trying to do the best thing for your body. Between diet and exercise, it can be hard to keep up with the latest information. There is always some new, “latest and greatest” product that everyone is raving about and trying to get their hands on. And now there is lysine. Is the hype justified? As an essential amino acid, your body requires certain levels of lysine. But studies are showing there may be additional benefits to consuming extra lysine. Keep reading to learn about all the benefits of lysine and how you can introduce it into your daily routine. In short, lysine is one of twenty amino acids. It is an essential amino acid, meaning your body requires it to survive. Amino acids are the building blocks of your body. On a microscopic level, amino acids form proteins, and proteins create everything in your body. Proteins code your genes, build tissues, initiate biochemical reactions, and more. None of that is possible without the little guys – amino acids. Amino acids are accessible to the body individually or as combinations. In the current market, multi-vitamins, food supplements, and proteins offer convenient ways to consume amino acids. Intake of amino acids can occur via tablets, fluids, and powders. But no form seems to have an advantage over the other. Nine of the amino acids are indispensable, and lysine falls within this group, hence why it is essential. As an amino acid, lysine is made up of carbon, hydrogen, oxygen, and nitrogen. Its chemical formal is NH2-(CH2)4-CH(NH2)-COOH. Lysine is basic when found in nature and positively charged. It is part of an amino group that reacts readily and found in enzymes near active centers. Because it promptly responds, interactions with other amino acids are common. In chemistry, lysine is one of two enantiomers, L-lysine or D-lysine. An enantiomer has to do with the physical structure of a compound and can change how the compound functions. L-lysine is the most stable and commonly used form. The human body cannot synthesize lysine, so you must acquire it from outside sources. You can’t discuss lysine without talking about the amino acid arginine. Arginine is another amino acid but falls within the conditionally indispensable group. It has a crucial function in metabolism and nitric oxide pathway. Arginine and lysine use the same path to transport into cells, and this is where the trouble can occur. Surplus lysine competes with arginine and can block the intracellular transport of nitric oxide production. Adverse side effects are possible on the immune system so those with arginine deficiencies should be careful. Further comparisons between arginine and lysine will be discussed as relevant. So why is the amino acid lysine the “latest and greatest” on the market? One of lysine’s most common uses is to prevent or treat herpes’ outbreaks. Lysine’s reputation mainly comes from the benefits it provides for people who suffer from cold sores. There is a lot of misunderstanding when it comes to cold sores. Cold sores get a bad rap because they are a symptom of oral herpes. Herpes? Yikes! But before you jump to conclusions let’s learn a little more. The herpes simplex virus (HSV) has different types. The one most people think of is HSV-2, genital herpes. But there is another type, HSV-1. HSV-1 is not a sexually transmitted infection. It is surprisingly common, and sharing utensils or oral-to-oral contact can transmit the virus. 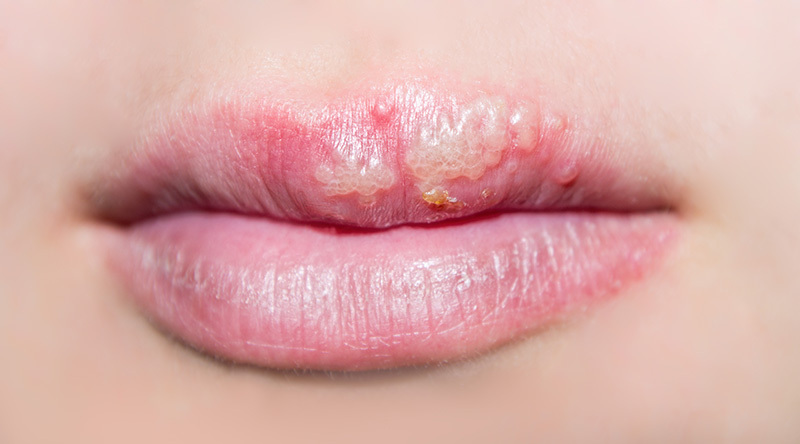 Between 50 percent and 80 percent of adults in the United States have oral herpes. Once infected, the virus is with you for life, but symptoms will become dormant and also have times when they flare up. Reoccurrence is the case with cold sores. Cold sores are a physical manifestation of HSV-1, and anyone experiencing them can tell you it is no picnic in the park. As your body builds up antibodies to the virus, outbreaks become less frequent than they are in the first year. However, specific triggers can initiate a reoccurrence. So where does lysine fit in? Lysine is used both to treat current outbreaks of cold sores and help prevent future occurrences. And it is not just an old wives tale. Studies show that the use of L-lysine to treat recurrent herpes simplex decreased severity of the condition as well as reduced healing time. Lysine can offer less time with the pain, fewer blisters, and possible prevention for future outbreaks. And further studies found significant improvement with no negative side effects. Because lysine is found in nature, you can feel confident about its fantastic benefits. It is a natural product that can treat an ongoing condition. If taking supplements to treat cold sores, it is imperative to follow all instructions and make sure to continue taking as long as the outbreak occurs. Remember earlier when we talked about the complicated relationship between lysine and arginine? It comes into play again because arginine is required for herpes simplex virus to replicate. When lysine bumps arginine out of line for the transport into cells, it limits the herpes virus from reproducing. Unable to replicate, the virus becomes dormant again. The use of lysine combined with Vitamin C is currently being studied to see if the benefits can be amplified. As of now, Vitamin C is not proven to help treat cold sores, but lysine is shown to be successful. Lysine is obtained by outside resources such as diet or supplements because it cannot be created within the body. It is recommended to increase foods high in lysine to prevent reoccurrences of HVS. Supplemental form is another option of intake. Reducing the symptoms and length of the outbreak for cold sores is advantage enough. But the benefits of lysine don’t stop there. Metabolism is the chemical interactions within cells. It is used to convert food to fuel for cellular processing; convert food to fuel to build blocks required for proteins, lipids, nucleic acids, and carbohydrates; and to remove nitrogen waste. Your metabolism is what allows you to grow and respond to your environment. Because lysine is an amino acid, it already assists with the metabolism to build proteins. But it also helps with the metabolism of carbohydrates and fatty acids. Carbohydrates and fatty acids contribute to the energy needed by an organism to function. The metabolism of these allows your body to use the energy instead of storing the excess. And you know what excess storage means, body fat and unwanted weight. Now, of course, some amount of body fat is useful and necessary, but with the foods we consume and the sedentary lifestyle we have adapted to means a surplus of body fat. Lysine can help those metabolic pathways create the energy your body needs without stockpiling fat. Our bodies need different components to survive, and various combinations can reveal positive side effects. For example, lysine allows the body to absorb calcium more efficiently. Strong bones need calcium. When you get older, your bones start to destroy more bone cells than they make. Intake of calcium doesn’t do much good if your body can’t use it. L-lysine is known to work directly with collagen cells – cells that create tissues and contribute to bone growth. Osteoporosis and osteoarthritis are conditions that occur when the bone tissue weakens. Taking lysine with calcium allows that calcium to go into the bone, and increase strength and healthy bone tissue. L-lysine is also beneficial for people involved with bodybuilding because of its benefits with bone health. Because lysine increases absorption, it is essential to talk to your doctor before taking lysine if you take calcium supplements or eat a calcium- rich diet. The shingles virus is related to the herpes family, just a different species. Herpes zoster, also known as shingles, is the viral disease that creates painful skin rashes and localized blisters. Sounds similar to HSV-1, doesn’t it? Shingles are introduced to the body through the chickenpox disease and surfaces again when immune function is low. Old age can be a contributing factor in shingles flare-ups. Usually, the virus only affects one side of the body and manifests along one of the spinal nerves. Shingles’ symptoms can last anywhere from a couple of weeks to a couple of months. If there are certain complications, they can last years. For example, if the condition occurs in the eyes blindness can result. Although there is no cure, use of L-lysine can alleviate some of the pain from symptoms and possibly decrease the length of the outbreak. Diabetes is an epidemic sweeping the nation. Doctors are working on preventative measures as well as treating the disease and its symptoms. High levels of blood sugar, tested as your A1C, affects how the body functions. Someone with diabetes needs to carefully monitor their levels of blood sugar to avoid going too high and introducing ketones into the blood. High levels of blood sugar can create a comatose state and transform the blood to an acidic level the body cannot tolerate. Investigation on possible connections between lowering glucose levels and lysine is currently in the works. As mentioned before, lysine works directly with collagen cells. Collagen products use four amino acids as building blocks: lysine, methionine, glycine, and proline. These same amino acids produce keratin, the protein found in the layers of skin. When levels of lysine are out of balance, you can experience broken skin and hair loss. Between creating healthy skin and building collagen – which directly correlates to stronger hair – lysine is an excellent option for the overall health of your biggest organ. Bone health was one reason bodybuilders use lysine supplements, but increasing muscle mass is another area of study for lysine. Proteins build muscles, so increasing the number of building blocks available means more protein and more muscle tissue. Which in turn, can improve athletic performance. It is hard not to feel anxious in this busy world. Whether it is environmental factors or something internal, most people battle some form of anxiety. And for some people, it is on a daily basis. Considering lysine for treatment of anxiety has another benefit. L-lysine is thought to increase serotonin levels. Serotonin helps regulate mood, including anxiety and depression. Lysine can have a positive effect on both humans and animals when it comes to stress. New research is showing links between anxiety/stress and gut health. One study decided to test the use of lysine on stressed subjects to see if gut health would improve. The results revealed a positive correlation and recommended a change in diet to lysine-rich foods as part of a complex treatment plan for those looking to improve their gut health. Lysine assists your immune system by making your body’s environment less hospitable to foreign organisms. The herpes simplex virus and the herpes zoster virus are both affected by a lowered immune system. One reason lysine works to decrease symptoms and outbreak time is that it boosts your immune system. In studies done on mice, lysine was shown to improve recovery of age-related conditions. An improved immune system means a healthier you, and lysine can help. As seen with the herpes simplex virus and the herpes zoster virus, lysine can decrease the discomfort of pain. Other areas for pain relief are being investigated. Migraines affect more than 38 million people in the United States. Limited clinical studies are available currently, but lysine clonixinate can be used to treat migraines and other painful conditions. Lysine acetylsalicylate is used to assist with pain and detoxifying the body after heroin use. Because it is natural and so easy to consume, lysine is convenient to treat conditions. More studies are needed, but current research is looking to link L-lysine with treatment for Alzheimer’s, cancer, and other conditions. Positive results would be a huge step forward for fighting some of the worst disease we face. Because your body doesn’t create lysine on its own, the only way to obtain it is through diet or supplements. Maintaining a well-balanced diet is crucial for a healthy body and knowing which foods contain lysine will help you make the right choices. 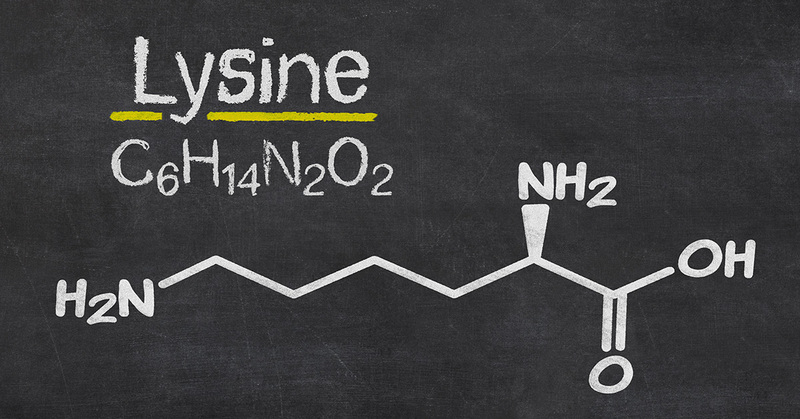 In 1889, lysine was first isolated from casein. Casein is a milk phosphoprotein and often found in other dairy products. Since then, lysine has been discovered in many different foods. Spirulina is another excellent food. It is blue-green algae that has many health benefits, one of which is it is high in lysine. Spirulina is available as supplements, powered or whole and is prepared for safe consumption. Since 1970, it is common practice for lysine to be added to animal feed. The fortified food is why most meats listed are rich in lysine. There’s talk about fortifying other foods with lysine, such as bread, but no steps taken currently. When preparing foods high in lysine, it is significant to know that how you cook them affects their levels of bioavailable lysine. Heating foods with reduced sugars such as fructose or glucose will reduce the amount of lysine. Heating foods with sucrose or yeast can also affect levels as can cooking without moisture at high temperatures. Foods low in lysine include refined sugars and grains. Diets high in arginine can have conflicting results when taking lysine. Chocolate, nuts, and dairy contain arginine and should be limited or avoided. While diet is the best way to introduce lysine into your body, sometimes you aren’t able to eat the balanced diet required. Allergies and accessibility to foods plays a huge factor in your ability to consume what is best for your body. But don’t worry; there are other ways to get lysine. One easy way to increase your lysine intake is to use supplements. Wide varieties are available for purchase. Health food stores, over-the-counter pharmacies, and websites make it convenient to access lysine supplements. The average human body requires 800 to 3,000mg of lysine daily. Dosages of lysine depend on why you are taking it. A common recommended dosage of L-lysine is 500mg 2-3 times a day. Toxicology reports reveal that high doses taken orally of lysine are likely to be safe. Short-term use is safe and recommended ingested of supplements on an empty stomach. Taking lysine on an empty stomach allows the amino acid to present in its natural state. If taken with food, the food may interact with lysine and a smaller amount will enter your system. People who follow a vegan or vegetarian diet should be aware they may consume lower levels of lysine and can benefit from taking supplements. Of course, it is always recommended to be open with your doctor about all medications and supplements you are taking. Always follow directions on the bottle unless otherwise specified by your doctor. It is important to keep in mind that everybody has individual homeostasis. Whenever using supplements you should be aware of possible side effects. In children, excess intake of single amino acids can contribute to growth problems. It has also been suggested that males with reproductive health issues and mothers who are pregnant or breastfeeding avoid taking supplemental lysine. Gastrointestinal discomfort reported by some with use of lysine. Diarrhea, nausea, and abdominal pain can occur with ingestion of lysine. Caution is advised for those with cardiovascular diseases as some studies have shown lysine is linked to increased cholesterol levels. However, others reveal lysine can decrease cholesterol levels so more information is needed. Long-term effects for toxicity in humans have also not been studied sufficiently. Any excess of amino acids means the kidneys must work harder and over time renal failure is a possibility. Anyone with kidney or liver disease should not take lysine supplements. You can avoid unwanted side effects by following recommended dosage amounts. Always discuss with your doctor any concerns you have about medications or supplements that you take. As one of the necessary building blocks for proteins your body requires, it is important to be aware of your lysine intake. The amino acid works to get your metabolism functioning and proves to have many health benefits. Whether you are trying to treat and prevent cold sores, improve your anxiety or are looking for some other benefits of lysine, you will have an easy time getting it. Taking supplements or increasing you intake of foods high in lysine are both great ways to get those benefits. While lysine seems to be a miracle worker, you should always keep your doctor updated on changes in your diet and the medications and supplements you are taking. Who would have thought something as small as an amino acid would make such a big difference?